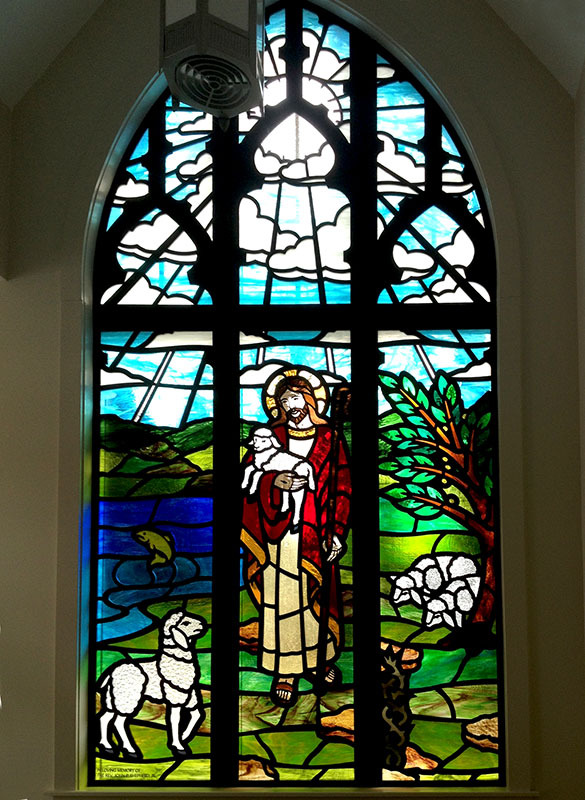 This pastoral scene of the Good Shepherd in the Children’s Wing is comprised of six “Structural Stained Glass®” panels surface mounted to the existing window. The window design mimics the tracery woodwork of the nave windows in the border and upper areas. Various textures and types of glass were used for added interest including streaky, antique and cathedral. 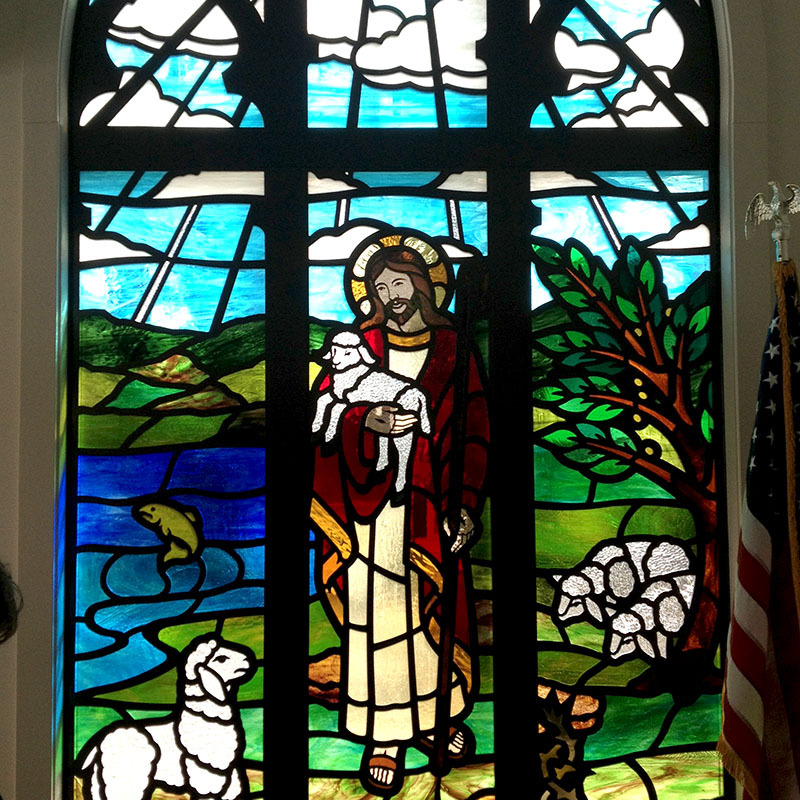 It is memorialized for a deceased Pastor who truly was a “Good Shepherd” and enjoyed fishing. This window measures approx 6’W x 12’H.